GE Fanuc Panel view and control features 6-Inch resistive touch TFT LCD display that supports resolutions up to 320 x 240. It measures 137 mm x 192 mm x 36 mm. It has voltage rating of 24-Volt DC and power rating of 15-Watts. It comes with 10/100Base-T RJ45 Ethernet port and 5-Pin RS-232 COM serial I/O port connector for connectivity. This panel view and control comes with 512 MB DDR2 SDRAM, 256 MB SLC NAND flash memory and 512 KB battery backed SRAM. 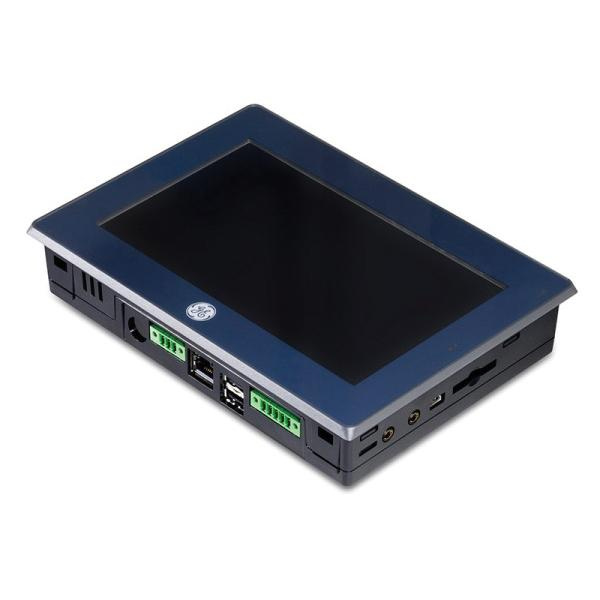 It works with Microsoft® Windows® embedded compact operating system. It has two USB 2 type A ports and USB 2 mini type B port. This panel view and control withstands temperature range of 0 to 55 deg C. Panel view and control is UL listed, FCC/CE certified, IP65F rated, RoHS compliant and EN standards.